The Metro 54 has been developed with the proven design of the original Modulux X in mind, simple installation with high energy efficiency proven and low investment costs. The Metro 54 brings contemporary design into the modern workplace with an aesthetic curved front cover for appeal. 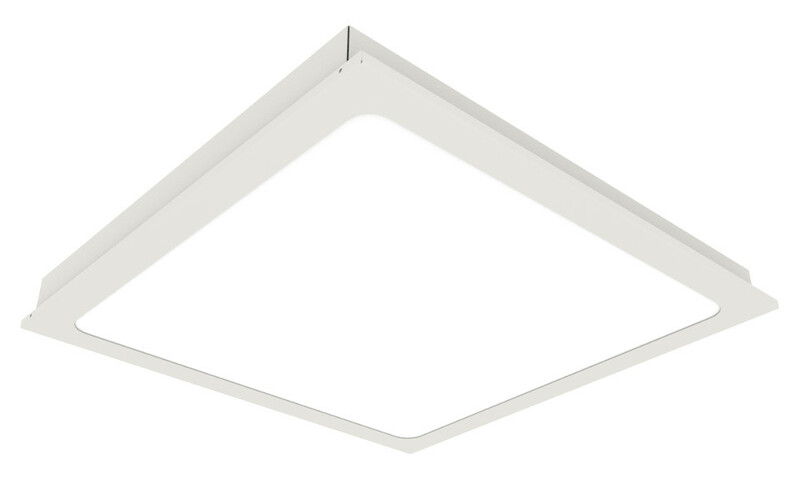 Available with either a TP(a) rated polycarbonate opal diffuser for uniform ceiling appearance or a high performance, low glare, micro structure material for optimum glare control and an LG7 compliant space. The Metro 54 range is particularly suited for use in the following applications and environments. 80% of initial lumens maintained after >60,000hrs, 10% of luminaires will have less than 80% of initial lumens after >60,000hrs. Alternatively, 90% of luminaires will have maintained 80% of initial lumens after >60,000hrs. Download Metro 54 Photometric Data in EULUMDAT (ldt) format suitable for use in lighting calculation software such as DIALux and Relux. 1Not available with DAL dimming versions. 2Only available with DAL dimming versions.